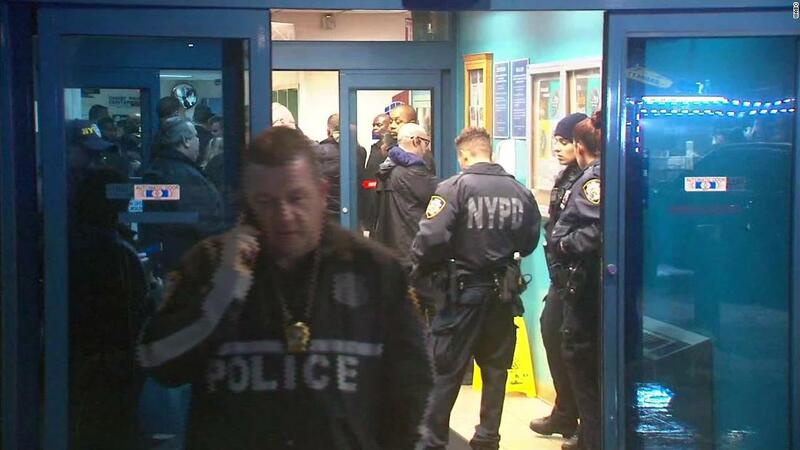 "Once again, our hearts are broken in the New York Police," said Commissioner O'Neill. When the two officers entered the store, a suspect came out of the back room with a replica gun. The detective and the sergeant shot, and as they left the store, the detective was apparently shot by uniformed officers. Brian Simonsen, 42, and a 19-year-old veteran from the unit, was killed, police said. O'Neill and Mayor Bill de Blasio met with the family at a hospital. "It was heartbreaking to see," de Blazio said. "The shock they feel is so painful to see." The suspect, described by O'Neill as a 27-year-old caretaker, was shot several times and said to be stable, O'Neill said. O'Neill said that a sergeant who had been in power for eight and a half years was also injured and in a stable state. 9, according to the National Police Memorial Fund website.